I don't normally meet my friends on Fridays because of traffic. But this afternoon I met my friend Bernard Zulueta. The last time he had time for me was two years ago, so I figured what the heck. I've known Bernard since 1999. 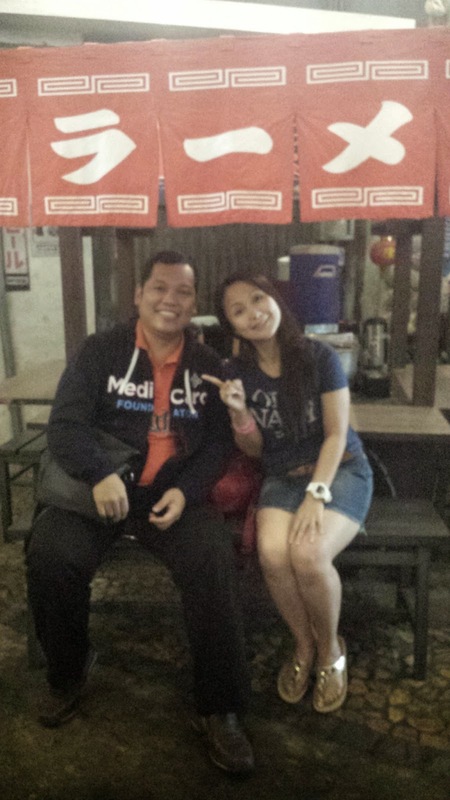 I interviewed, gave him psychological tests and hired him when I was working as Recruitment Specialist in Medicard Phils. I didn't actually like him at first. He was kind of snob, so I gave him a low starting salary (hehehe, joke). Every time we go out together, its sure to be fun (lalo na kung time nyang manlibre!). There is no doubt that female friendships is important in my life. I actually have more female friends than male friends. Maybe, I enjoy male friends more because they simply offer different things. With them, friendship lacks complication, drama and exhaustion of emotions. Bernard for example doesn't mind if I tell him, "naalala mo lang naman ako pag may kailangan ka o may problema ka!". (You only remember me if you need something or you have a problem). With some female friends, war starts if you say those words. With Bernard, he'll just laugh and say, "tara ililibre kita" (come on, I'll treat you). Then everything will be okay. 1. Male friends are brutally frank. They're honest and tell the truth without diluting it in any manner even though the truth is hurtful or painful. I like that friends tell me in my face what they feel, not post their feelings on Facebook for others to see. 2. It's an easy friendship. Relationship with a male friend is much less dramatic because they find a solution to the problem immediately. 3. Male friends are easy to please. Just give them a shirt or pizza, they're happy. No fuss. No drama. 4. No is no and yes is yes. They don't go around the loop. If they think your shoes or dress doesn't compliment you, they'll say it out loud. 5. There’s no pressure to compare with them. Even when there’s a big disagreement about a certain topic, it usually ends up like, "oh, okay, that's your opinion. I respect that". With some female friends, feelings get hurt easily or gets offended by a perceived slight, which then turns into a far bigger deal than it needed to be. The next time you know it, you receive an email in red color and ALL CAPS.